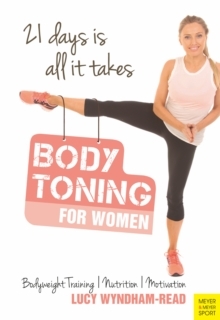 Lose weight, tone up, and look younger in just three weeks. Walk yourself to the fittest and healthiest version of yourself. 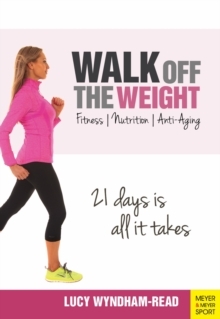 Walk off the Weight is a full 21-day plan, and has all the advice and guidance you need. Simply follow the exercise instructions and the eating plan on each day and you will be fitter and healthier and look better than ever before! 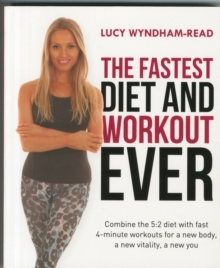 Lucy Wyndham-Read has used this plan with her clients for many years and she has seen amazing results. The before and after photos of her clients will show you what you can achieve by following Lucys walking workout routine. Walking is an amazing exercise that anyone can do and the results are incredible: weight loss, increased fitness, and toned legs, arms, bottom, and thighs. The book also contains Lucys Healthy Anti-Aging Plan full of delicious meals and snacks that are easy to prepare and help promote collagen in the skin; you will look younger and more radiant.